Detroit Fire Collective Flow Jam is a place where individuals of any skill level come together to share the knowledge and culture of fire spinning and circus play. The Detrtoit Fire Collective meets each Monday at Tangent Gallery - 715 E Milwaukee Street - Detroit, Michigan 48202. Admission is $5. Doors open at 7:30pm and close at 11pm. The Detroit Fire Collective is a substance free environment. We are open to newcomers, age 18+. We do make exceptions with under 18 with parent or guardian accompaniment. 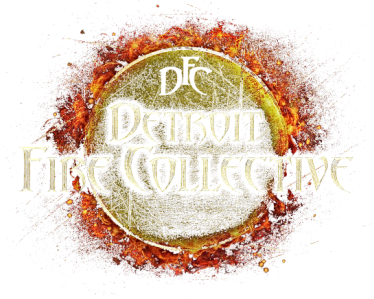 The Detroit Fire Collective is not for profit. All money taken in from the Monday night Flow Jam goes back into the community and renting the space!